Vietnamese food is my second favourite cuisine (of course the first is Thai). Thai food and Vietnamese food have many similarities, including using a lot of chilli and fish sauce. The taste balances sweetness, sour, saltiness and spicy. There are many Vietnamese foods that have been popular in Thailand since long ago and Thai people have adapted them to their way. 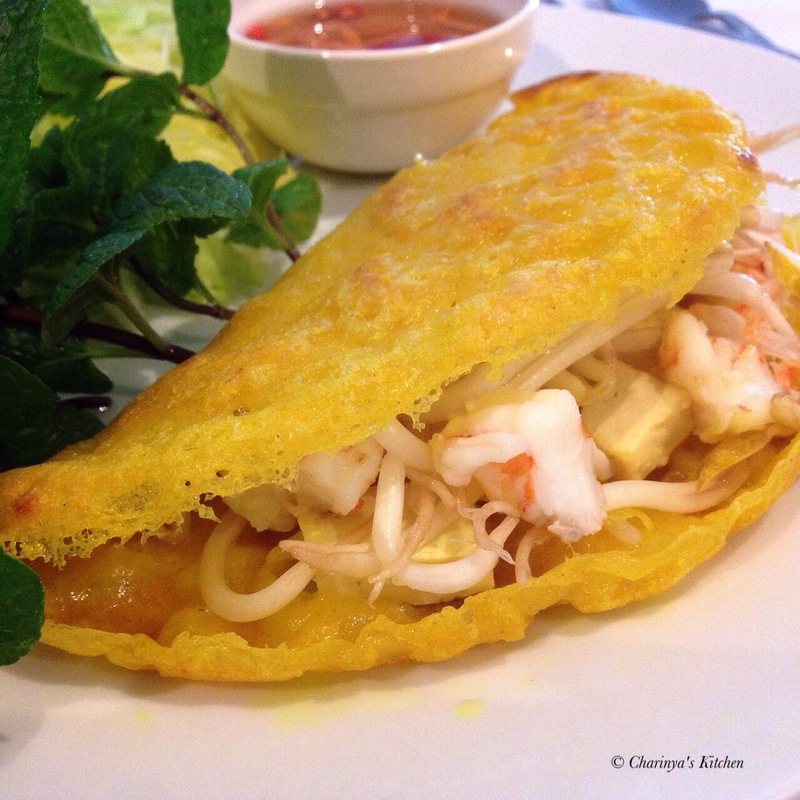 This Vietnamese pancake is the Thai version. • Mix together the flour varieties, salt and turmeric powder. Gradually add coconut cream and mix as well. Then add water and leave the mixture for 1 hr. • In the nonstick fry pan (I used 8″ size) add 1 tbsp of oil then add the mixture, around 1/4 cup, and spread the mixture over the pan. Keep frying until crisp. 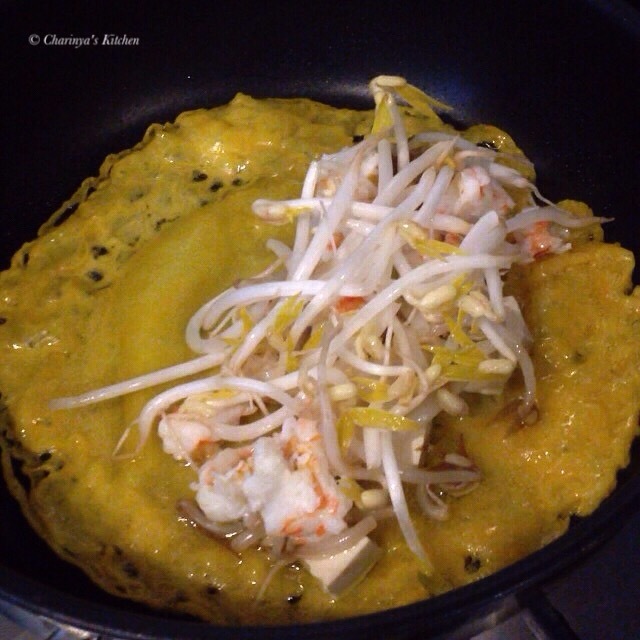 • Add bean sprouts, diced tofu and cooked prawns in to the now crisp pancake and the fold the pancake in half. 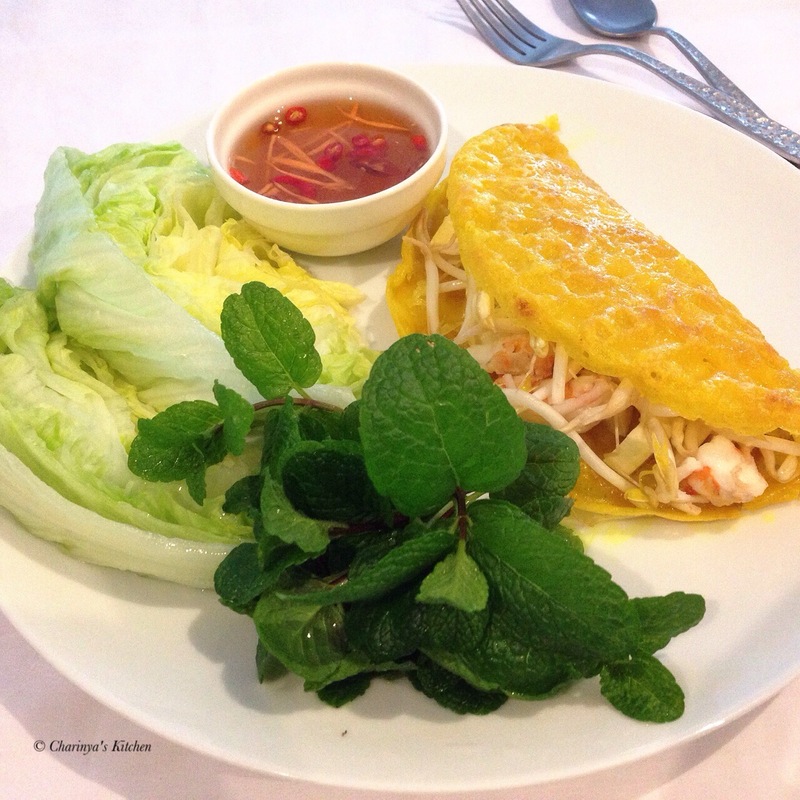 Serve with mint, iceberg lettuce and Vietnamese dipping. Mix water, fish sauce, sugar, lime juice and chilli. The dipping sauce taste should lead by saltiness and sour. Add grated carrot and white radish.